Morning all. In this succession of exceedingly gloomy days in my neck of the woods I just felt like doing something simple and awesome so I thought HEY! 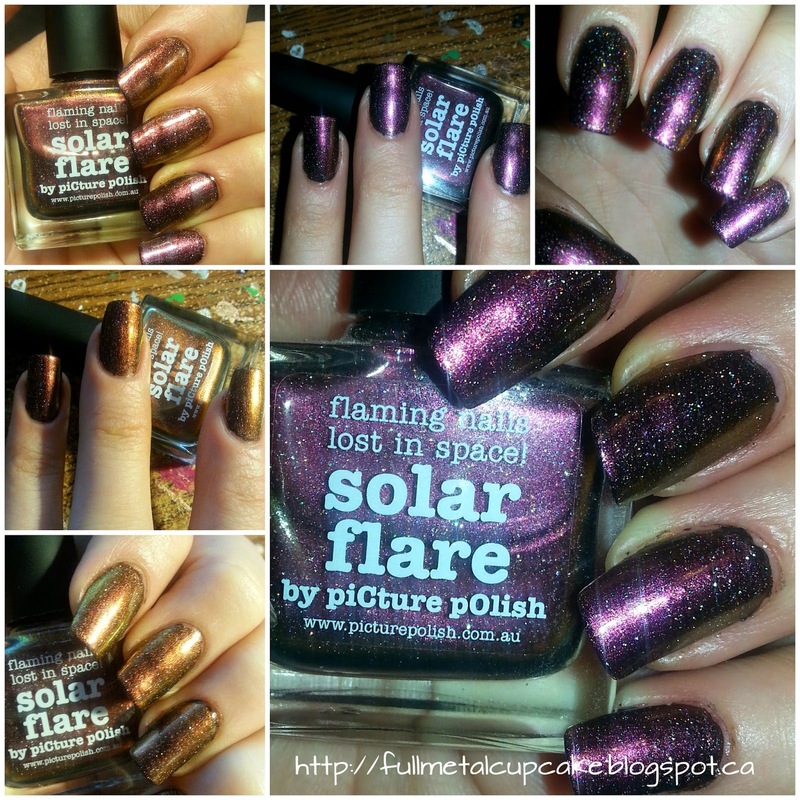 I'll swatch piCture pOlishes super awesome polish Solar Flare! I love love love this color, but honestly I love all of piCture pOlishes limited edition space themed colors. I purchased all but two of them I think (fracking budget constrictions :S). Solar Flare is a color shifting scatter holo which changes from a golden brown-orange to a more burgundy color dependent upon lighting. Here I used artificial light provided by my flash to illustrate this change. As with my experience with other piCture pOlishes this formula is amazing, so smooth and fluid that it's a dream to paint onto your nails. If you haven't already looked into this collection I would strongly recommend it, especially if you like spacey stuff like galaxies etc. 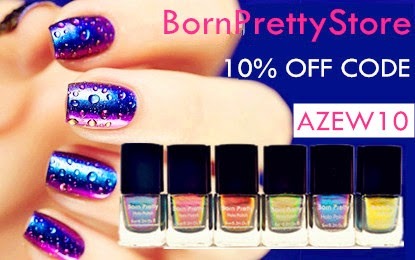 They really are all beautiful shades and I will have more swatched for you asap between other nail arts. Thanks so much for dropping by and checking out my post guys, I always love when you take your time to visit my page :) If you like my posts and content please don't forget to subscribe. See you next time! !